Did you have a good Fourth of July weekend? I had a blast, but I honestly think it will take me all week to recover from all the parties, food, and sparkling cocktails! 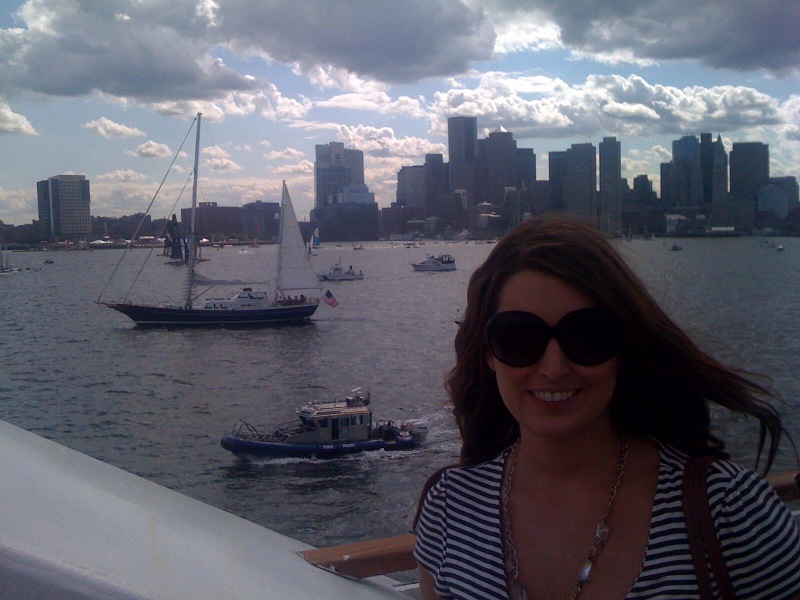 We cruised around the harbor for two hours and the weather was perfect. There were lots of other boats out on the water. 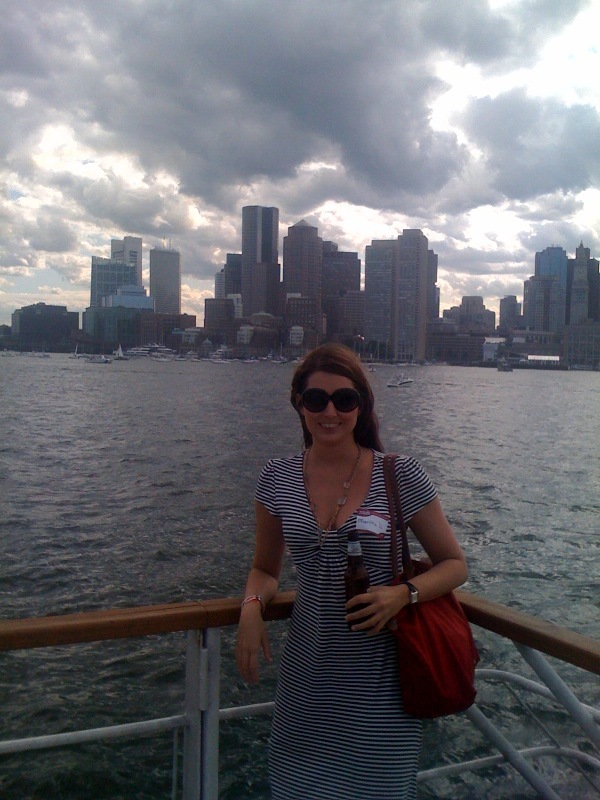 I love the view of Boston from the harbor. 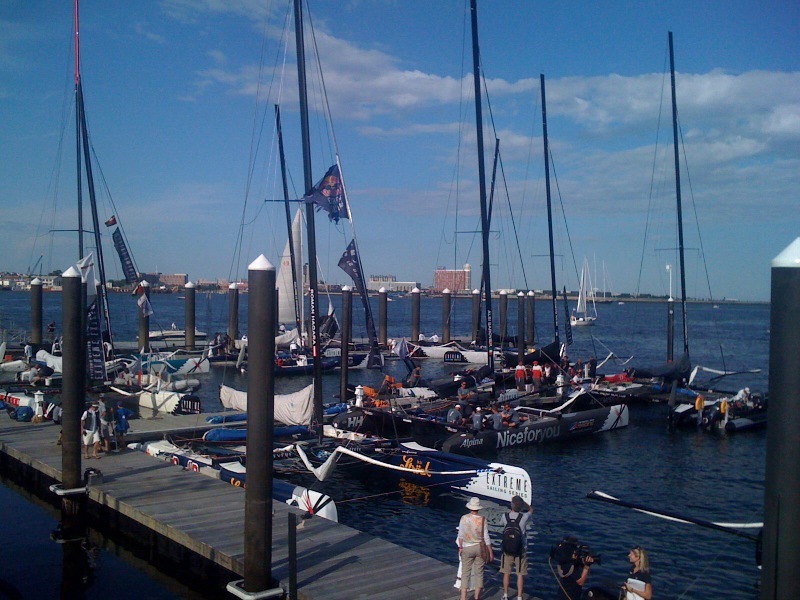 After the cruise, my boyfriend and I wandered over to Fan Pier where the Extreme Sailing Series was taking place. They had a whole village set up with food and drink tents, music, giveaways, and more. 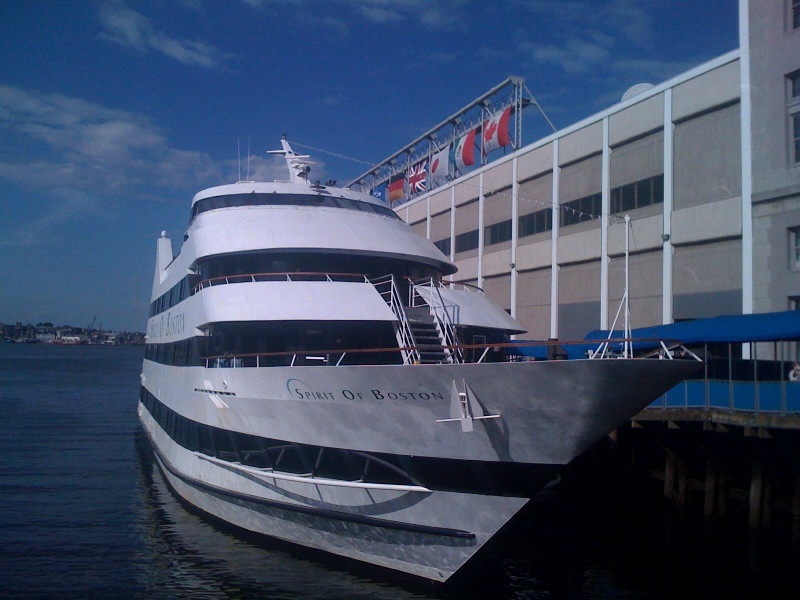 It was cool to see all the boats- they travel all over the world but Boston was their only U.S. stop. 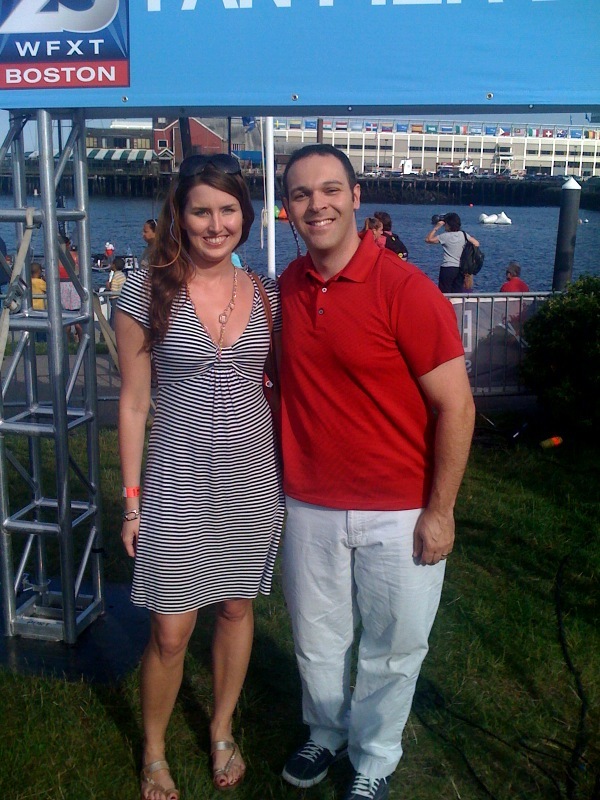 At the sailing village, we saw Mayor Thomas Menino AND got to meet A.J. Burnett. I’ve watched him on the news pretty much every day since I moved to Boston so it was a little surreal to meet him in person! He was very gracious and let us take some pictures. Note how patriotic we are in our red, white, and blue. After the sailing series, my boyfriend and I finished off the evening with dinner and drinks at Jerry Remy’s by the water. The food was a little pricey ($14 for a salad) but tasty. 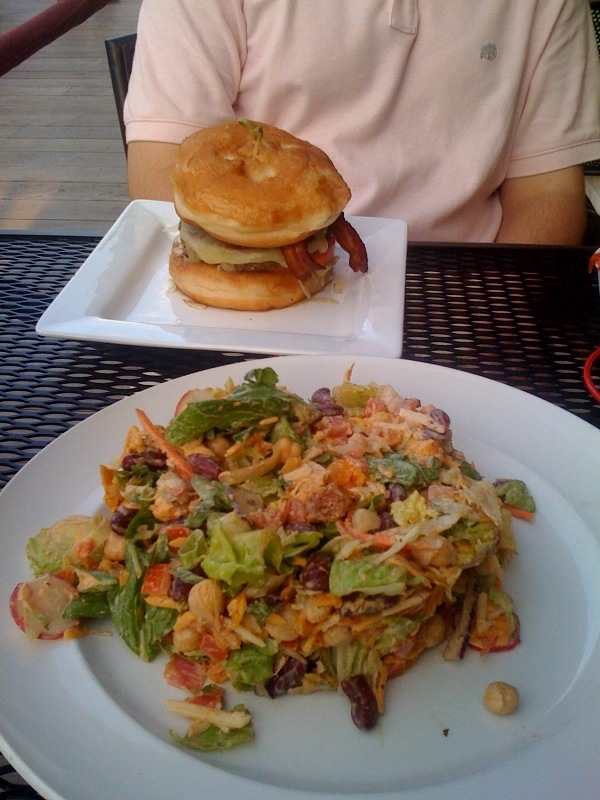 The burger came on fried dough. ’nuff said!